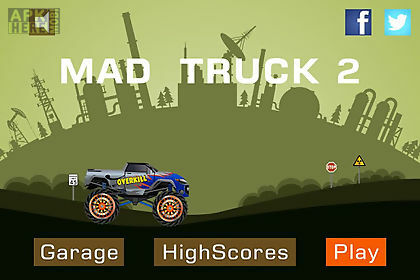 Mad truck 2 game for android description: Drive the big mad truck on the mountain road to reach the destination in the limited time. There are many barriers(woods stones drums scrap car zombies) on the road. It is crazy with big challenge. Game instructions: drive by pressing on the right or left side of the screen. 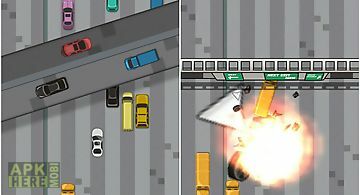 Tilt the device to control the vehicle in mid air. There are 50 levels to go you need find the real direction in some difficult levels. 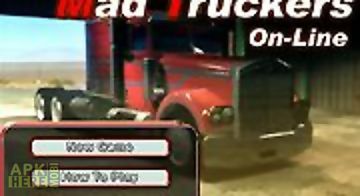 Many different trucks in the shop. 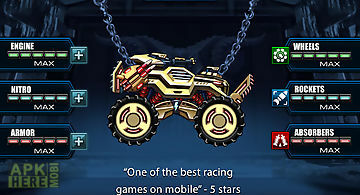 Collect coins to buy new trucks wheels and more time. Hit drums and zombies to get high scores. 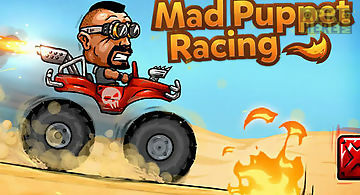 Features: - support all android devices. - Different levels 50 unique maps. 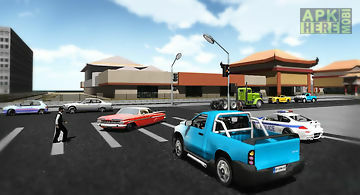 - Some models of vehicles in shop. 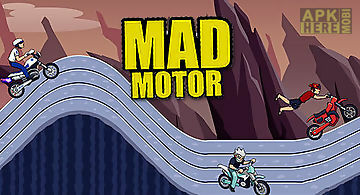 - Awesome physics with bouncing crashing flying exploding and more! - Tilt controls accelerometer supported. - Hd display for high resolution devices. - Support two control modes. 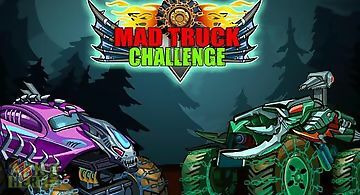 Battle with crazy bosses crash everything with your huge truck and try to raise your business and survive in this cruel world of trucking industry. 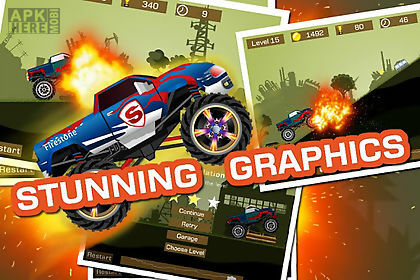 Get ready to roll with monster trucks! 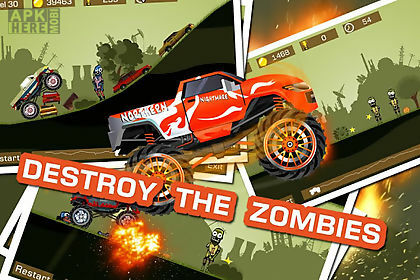 Gear up for roaring action packed race battles against the meanest monster trucks you ve ever seen! They re waiting .. 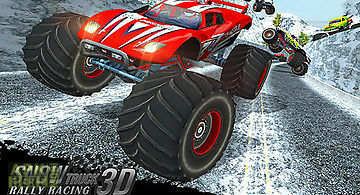 Snow racing: monster truck 17. s..
Drive a powerful truck along snowy ring tracks outrunning rivals and avoiding accidents. 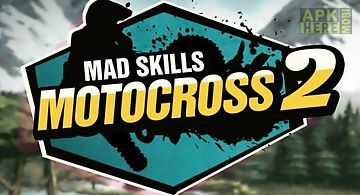 Participate in dynamic race on winter tracks of this engrossing an..
Get into a truck and drive along busy streets and country roads avoiding accidents on the way. 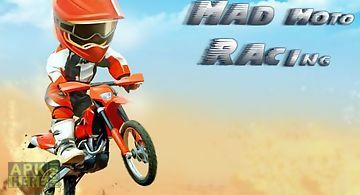 Try yourself as a professional driver in this engrossing and..
Mad moto racing a fascinating game where you will drive on different motorcycles at twisting routes with a set of obstacles. 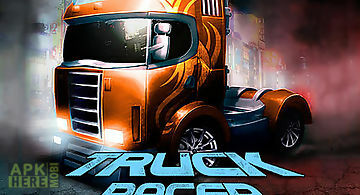 Features: 60 routs6 colourful ..
missions third person control cool classic cars sporctars brilliant vehicle and drift physics open world environment weather effects voices 60 cars 10 mot..
Take part in the incredible race! 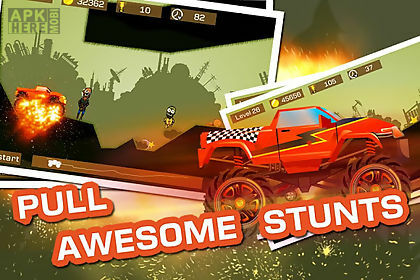 Make dizzying jumps and unbelievable stunts! 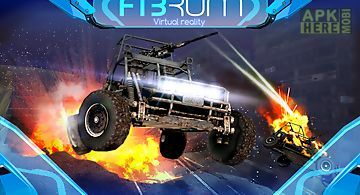 Feel yourself like a virtual pilot of buggy! Please look at the yellow ring ..